I have been really good about keeping consistent with taking the vits. I started 2 weeks ago right after I finished my 3 day juice fast. So far I have noticed that this month the cramping was minimal. My usual hormonal acne was not as bad, even though I did flare up some, and my skin was slightly more oily than before. I have been over using my salicylic acid face wash to help dry up my acne and fade scars and that has caused my face to become very dry and flakey. To counteract this I have been exfoliating a lot more and moisturizing with my Clinique Moisturesurge. As with before when I was consistent my skin cleared up completely and that is my goal again this time. Truthfully I have no huge issues with my acne. However, when the hormones come around the corner I tend to develop these huge cystic pimples under the skin which are very painful and red. That is not something that I want to deal with all the time. So I have opted to go back to the only thing that has helped me in the past and so far it is helping and I will be happy to reap all of the other benefits. 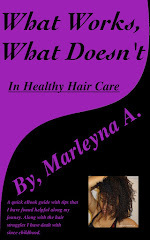 Clear skin and healthy, faster growing hair. The Master Cleanse & Smoothie / Juice Fasting - Parasites?? 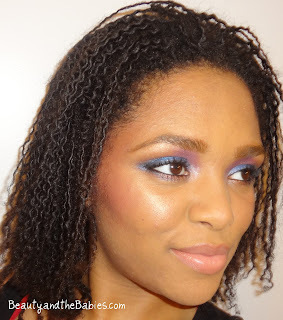 My take on transitioning from relaxed to natural! !- The Big Chop!